These modern stools feature warm blonde-coloured oak wood legs and generously padded seats that give you the luxury look and comfort that you're searching for. They're complete with footrests. Ideal for multiple areas in your home, office or cafe, these barstools will render your space stylish. 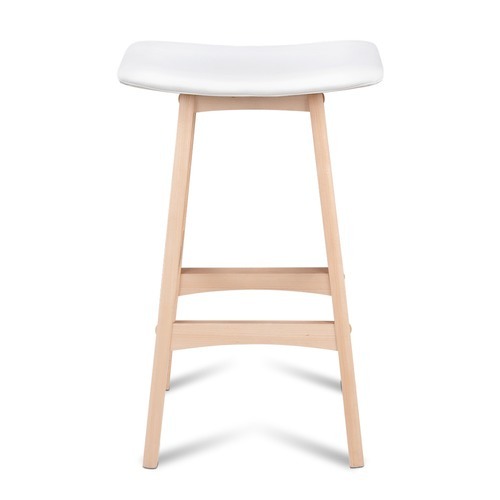 The White Ella Curve Barstools is a Casual or Coastal style product. Coastal style is exemplified by perfect for a beach or lake house or coastal design features whites, blues, and sandy neutrals. Motifs such as shells, coral, sea life and nautical instruments complete the look. 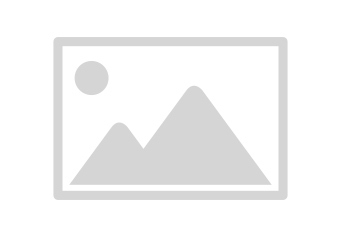 You can shop for more Casual or Coastal Bar Stools in the Furniture section of our site. 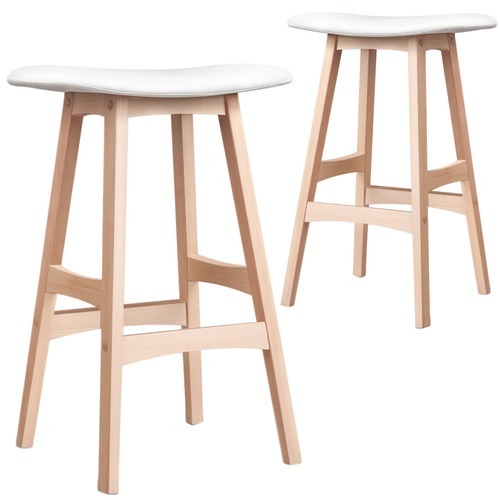 When you buy a White Ella Curve Barstools (Set of 2) online from Temple & Webster in Australia, we make it as easy as possible for you to find out when your product will be delivered to your home in Melbourne, Sydney or any major city. You can check on a delivery estimate for the DwellHome Part #: BA-F-3629-WHX2 here. 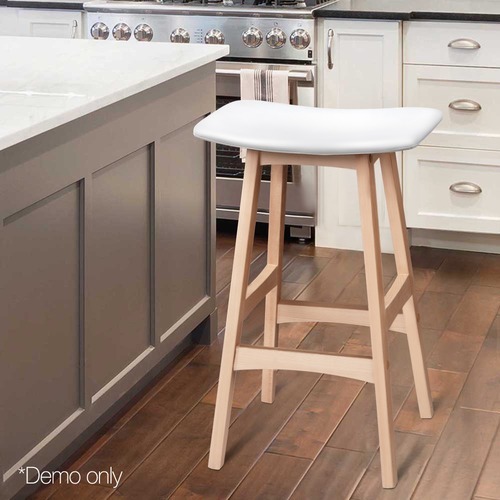 If you have any questions about your purchase or any other Bar Stools product for sale our customer service representatives are available to help.Whether you just want to buy a White Ella Curve Barstools (Set of 2) or shop for your entire home, Temple & Webster has a zillion things home. These stools suit my living space perfectly. They are unobtrusive, but purposeful. The grandkids love sitting on them to eat and to watch the activity in the kitchen. Easy to put together, sturdy and look great! 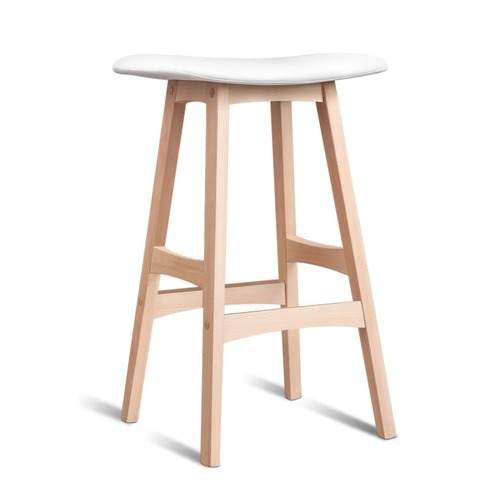 The bar stools were of a good quality materials, however the advertisement read "White" and they were creamy colour, even though the product description on the box and invoice said colour: white. 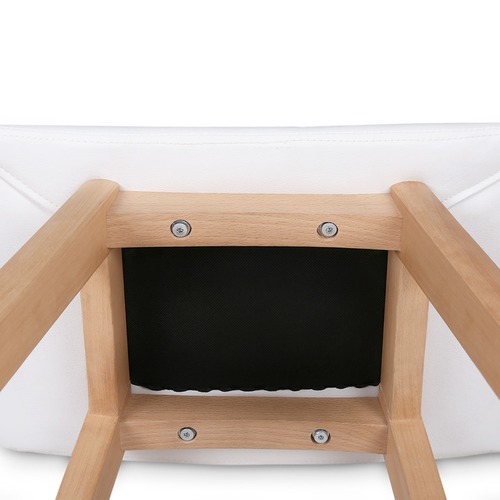 The blonde timber and white leather introduce a light note to our informal eating area and belie the sturdiness of the stool. One minor quibble: the soft leather of the seat is prone to wrinkling, marring the clean lines of what is a fine piece of furniture. Good height, comfortable. Didn't quire meet our decorating needs, so painted the legs same colour as seat, which resulted in just what we wanted. T & W are a very good supplier/retailer, good fast service. Thans. The stools sit at my breakfast bar and look great with my white kitchen. They are very comfortable and everyone comments on how good they look. They were easy to assemble too. 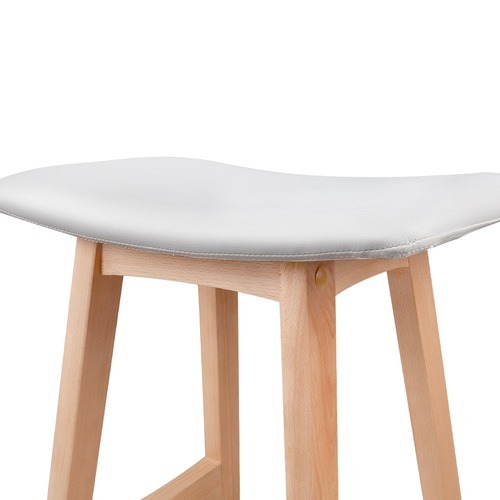 Great looking stools however the material wears easily. Very happy with our barstools, comfy and looks great in our new kitchen!